Yep. I went into the basement and cleaned out some crap. Then I did some laundry. I also cleaned up the kitchen a bit. All the while, I listened to great music, ate good food and got myself mentally prepared for the upcoming week. Ain’t this what Sundays are for, anyhow? And it feels like a Sunday to me, too. Does that make any sense? This day has a particular quality about it, at least to me, one of contemplation and serenity, joy mixed with a bit of sadness. It doesn’t have anything to do with church, really — I just think Sunday has a personality all its own. As I went through my things in the basement, I stumbled upon some vintage 7-Up bottles, back from the days when you would return your bottles to the grocery store for your nickle or dime, and soft drink companies used real sugar. Man, did sodas taste so much better back then! 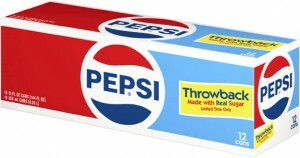 It was with real joy that I found the Pepsi company to be releasing their “Throwback” line of products: Pepsi and Mountain Dew, both featuring real sugar. Mountain Dew, quite honestly, I can take or leave (sorry, kids). But the Pepsi Throwback is a real treasure. It reminded me why I used to love drinking cola as a kid. My first sip brought happy memories flooding through my brain, as the carbonated goodness tickled my tonsils in a way they hadn’t been tickled in many a moon. This Pepsi was the kind that you could savor, with a clean, pleasant glow about it, and real cola taste. It’s a fabulous thing, and I suggest it to all who want to see how it should be done, instead of accepting that modern, corn syrup concoction as the genuine article. Okay, I better go attend to the rest of my day. Thank you for your time! I’m laying low today, still nursing my ills. I am, however, well enough to shoot a video to say a few things on my mind. I started my morning eating fried okra, cupcake-flavored Pebbles cereal and cold tomato ding-ding, washing it down with an entire pot of perked black decaf coffee. It may shock you to know that it’s not that unusual for me to eat as such. Well, I had a tummy ache all day, and that leads me to believe I’m still gunna need some time before I can call myself completely well again. The old cast iron stomach failed me. I am no Pepper Gomez! As it stands, I’ll just have to do the best I can with what the good lord has provided me with. Bed is made. Sanka is sipped. Almost time to call it a day. You know what this date means? Probably not a whole lot to most of you. Probably not anything, really. It’s my buddy Loren’s birthday, and it’s the 40th birthday of Mary J. Blige. But that’s not really why I am writing this. I’ve just decided today is where all the bunk ends for me. I have a little list that I have made that I am going to stick to, which will make my life more forward-moving and beautiful. “What is on this list?,” you ask. Well, it’s for me to know solely. However, the changes it will spark will become apparent in time. Now let’s take the day we have and love one another just a little bit more. Yeah, my voice is as raspy as can be… still. I feel like uttering one of Pleshette’s throwaway lines from Hot Stuff, like “Hey, gun slinger… who did you arrest today, a guy with a tuba?” But as soon as I would say it, I would quickly realize that nobody would get the reference, or care, or perhaps even understand my scratchy voice. Oh, to love a film that most have forgotten, and to love it dearly. Oh, to sound like you opened up a can of tuna with your neck. But, I’m still alive, and there are a lot better things out there to worry about! I just ordered my copy of Autobiography of Mark Twain, Vol. 1. Like everybody else in the reading world, I understand the book’s release to be a huge moment in publishing. I have been looking forward to it for quite a long time, and now that my life will become a tiny bit more stable, I can start chewing away at something so magnificent. Twain was simply one of the most brilliant and insightful minds ever, whose ideas still seem fresh and relevant today. How can any sane person not be excited about writings that have been locked up for 100 years, penned by the master, himself? I’m sipping bitter lemon tea with Southern Comfort tonight. Oh, I adore Southern Comfort. I have a slew of old promotional bartender guides, which show you how you can make any drink better by replacing the base liquor with Southern Comfort. In many cases it works extremely well (if you happen to like Southern Comfort). But the one that gets all my attention and accolades is the Comfort Manhattan, which I have been enjoying again (and again) after years of forgetting its glory. Stir together with ice cubes and serve. Okay, I think I have confused you all enough. May your week be one of joy and good fortune! The lack of voice continued on. And so did I… at work. I started the day with moderate voice, but it quickly descended into squeaky whispers. 8 hours of talk can do that to you. My big joke to the kids was this: “I’ve been without my voice all day, and there’s a big reward for finding it.” Most people thought that was cute. Others stared at me, with a look that I am more than used to at this point in my life. Even though I was not with full voice, the rest of me remains intact. I guess that’s a good thing. Now, I have had insults of all kinds tossed at me at work — it’s just something you have to deal with sometimes. And, of course, all I can do is smile and say “thank you” in response. To that individual who “hates me,” all I have to say is Where Is the Love? Now that I’ve got that off my chest, I can sleep! I have a bit of a cold now, unfortunately. I can’t really speak (which some might count as a blessing), and that throws off my idea of shooting a new video for my page. I was still working yesterday, speaking in front of crowds, when my throat started to give out. I was saying, “You should call me a Shetland pony, because I’m a little hoarse!” Thank god for my cough drops… and the gift of two days off to recoup. When I am in any state of unwellness, I eat lots of garlic, in any form possible. Raw, cooked, it makes no difference. Garlic is one of those marvelous natural healers that give you tremendous benefit, yet cost you almost nothing. I normally chew raw garlic bulbs, after swigging them down with copious amounts of water, to alleviate the burn. Or I make my garlic broth, where I sauté at least an entire bulb of peeled and chopped garlic, cook that down in chicken broth, then add lemon or lime juice at the last for that vitamin C zing. Oh, it’s a marvelous thing. Today I stumbled upon a recipe for a garlic soup where you peel two entire bulbs of garlic, then cook the cloves whole in chicken broth until they are tender, then you whisk in an egg at the end to give it added richness. I tell you, the flavor of the garlic mellows out tremendously, and it made a really fine, nourishing tonic for my aching innards. I have a new soup to add to my sick-time garlic routine! But as smart as I am with picking foods, I’m pretty stupid with picking movies. I tend to choose films randomly, where my condition only seems to intensify. I chose to watch La Grande Bouffe, where four friends decide to lock themselves up in a villa, and proceed to eat themselves to death. While fascinating, this French/Italian oddity did no wonders for my spirit. I recalled the time several years ago when I was broke and despondent, and was desperately needing something to entertain me, so I waddled down to the public library to borrow a VHS tape for the evening, and all I could find was The Grapes of Wrath. Needless to say, my condition intensified. And watching Ugo Tognazzi have a heart attack whilst consuming an obscene amount of pate’, as he was being stimulated in the lap by a woman of loose morals, wasn’t any better. When under the weather, I should just stick with watching Tootsie and Groundhog Day. But I am a fighter, and these little things won’t get me down! The garlic is surging through my veins now, and soon I will bounce back, more adorable than ever! Take that, Ugo Tognazzi! Not only did Anne Francis die on Sunday, so did Pete Postlethwaite, the craggy-faced actor from such films as The Usual Suspects and In the Name of the Father. He was a remarkable actor who brought in a very serious, tense quality to all the projects he was involved with. 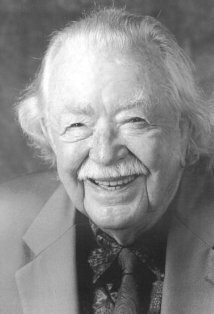 And if you believe in the whole “dying in threes” thing (as a lot of people do), the lesser known of the three would be long-time character actor Bill Erwin, who had a career going way back to the 1940s and seemed to be on every TV show out there for several decades. He appeared in two episodes of The Andy Griffith Show (most prominently as George Sapley), which is enough to get my respect. Most people of the “now generation” might remember him for his appearance on Seinfeld in the early 1990s. I fondly recall him as Santa Claus on Highway to Heaven, where he claimed to have actually been Mr. Kringle, himself. But the sentimentalist that I am, I will always think of him as Arthur, the hotel caretaker, in the exquisite and moving Somewhere in Time. If Arthur doesn’t bring tears to your eyes, then you ain’t human. Erwin lived to a ripe old 96, which is amazing to me, since he looked like he was 96 twenty five years ago! Thank you both for what you brought to the world. Thus far, I am finding 2011 to be quaint, though not earth-shattering. I am not frolicking in my youthfulness like Justin Bieber and Selena Gomez on the beach (yes, I saw the photos – I don’t live in a cave), but I am what you might deem content. This ain’t a bad thing. We have had our first celebrity death: Anne Francis, who I know (and adore) best for her saucy role in the Don Knotts comedy The Love God?. I can’t exactly forget who she is, since I have a poster from that film hanging on my wall (signed by Knotts), with her name glaring at me each and every day. I was hoping to get her to sign it at a celebrity autograph fair a few years ago, but she pulled out at the last moment. Now all I can do is stare at the space I had saved for her on the poster until the day I die. But, if that’s the worst thing that happens to me all year, I am doing just fine! Lately, I have been on a low-caffeine kick. I have been partaking in small amounts of my cherished Postum hoard, when the mood strikes me, without a shred of regret. But I only venture into those waters when I really have to, since Postum is no longer produced and is now as precious as gold (going for $75.00 and upwards on the internet!). A solid and delightful substitute for Postum is Cafix, which comes from Poland. If you were even remotely curious as to what Postum was, Cafix will give you a pleasant window into that extinct beverage. I’m just trying to do things slow and simple lately, so I can get better in tune with myself. I am working on a brand new cartoon, which will hopefully be done by early spring. To be completely effective as an artist, I have to streamline my life. That means buying less, and appreciating what I have. And if there’s anything I have that I don’t need, it is tossed out to the wind (or the Goodwill truck). “Less is more”, as Ludwig Mies van der Rohe said, is one of the sayings that I come to over and over again in life. I have had several folks express interest in doing the pen pal scene with me. I encourage you to join the bandwagon. All you have to do is holler! The soundtrack to Tron: Legacy (awesome stuff, kids!) is on the hi-fi, serving as the backdrop that will whisk me off to the rest of my day. Let’s hope 2011 is great for all of us.